We have two very important announcements for you today. First off, we have the announcement of our winner for La Cucina, selected by the wonderful author herself, Lily Prior. Ms. Prior had a difficult time choosing from all the wonderful recipes but we'll let her tell you and announce the winner! "First of all thank you to everyone who took part in this event. All the dishes looked incredible, honestly, and what a difficult task to decide the winner. I read, and reread the entries, and my tastebuds really did start to twang at the photographs of these succulent dishes, and I began to think it was almost lunchtime, and time to wander into the kitchen... However, at long last I have to say the sight of the glossily melting caciocavallo cheese on rustic bread made with love by Foodycat takes first prize. Congratulations, and well done, and thank you all. Warmest wishes, and Happy Christmas"
Congratulations Foodycat! I think we are all still dreaming about your antipasto platter and that wonderful cheese! You will be receiving the coveted Cook The Books Winner's Badge for your blog, as well as be added to the upcoming "Winner's Circle" on the Cook The Books site. But wait that's not all! Rachel will be carefully choosing a cookbook from her store and sending it along to you. Spectacular job Foodycat and everyone else, we had great participation and some delicious book interpretations for our first book! 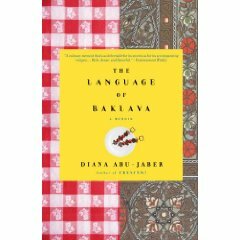 Our next book choice for January/February, hosted by Deb, is The Language of Baklava, by Diana Abu-Jaber, a culinary memoir and journey full of incredible food and the cultural differences and difficulties of being raised both Jordanian and American. The author, Diana Abu-Jabar has written several novels, is a wonderful storyteller and the recipes in the book sound delicious and will be a good starting off point for everyone's creativity. "Diana Abu-Jaber’s vibrant, humorous memoir weaves together stories of being raised by a food-obsessed Jordanian father with tales of Lake Ontario shish kabob cookouts and goat stew feasts under Bedouin tents in the desert. These sensuously evoked repasts, complete with recipes, in turn illuminate the two cultures of Diana's childhood–American and Jordanian–while helping to paint a loving and complex portrait of her impractical, displaced immigrant father who, like many an immigrant before him, cooked to remember the place he came from and to pass that connection on to his children. The Language of Baklava irresistibly invites us to sit down at the table with Diana’s family, sharing unforgettable meals that turn out to be as much about “grace, difference, faith, love” as they are about food." Happy Holidays to all of you and thank you for being a part of Cook The Books! Deb, Johanna and I are delighted to announce that "La Cucina" author Lily Prior has graciously agreed to judge the winning entry for our first Cook the Books round. All entries must be posted by Monday, December 15th, 2008, midnight Eastern Standard Time, so if there are any others who have read the book and are cooking up something wonderful from it, you only have five days left to do so. We have already received entries from Europe, Asia, Australia, Canada and the United States, so there will be an exciting roundup of literary and culinary bloggery posted here after the December 15 deadline. Deb, Johanna and I welcome your ideas for future Cook the Books selections. We would love to read a mix of foodie fiction and non-fiction food Books and hope to put together a list of several future Cook the Books picks at a time so that participants can make arrangements to buy or borrow them ahead of the bimonthly deadlines. Do you have a great book lounging on your bookshelf that you have not read yet? 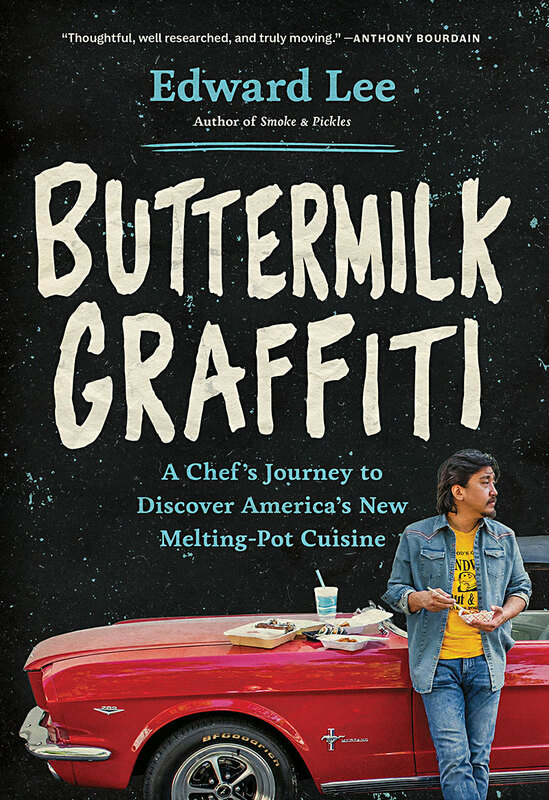 A wish list of foodie books that you would purchase or borrow? Please leave a comment below to let us know what your book recommendations are. If you need some inspiration, Rachel has put together a list of some foodie fiction titles at the Crispy Cook 2 blog which is updated periodically. A short but interesting list of non-fiction food writing can be found here. 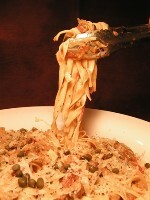 La Cucina puts the focus on the food of Italy and Sicily. Maybe we can travel around the world with our Foodie Book Club picks! Looking forward to your book ideas! 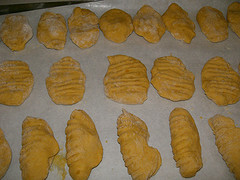 The Sicilian version of proto-foodie novel “Like Water for Chocolate”, in which our middle-aged librarian protagonist, Rosa Fiore, leaves her raucous rural peasant family, comprised of six older brothers, a pair of younger Siamese twins, and her frequently absent parents when her lover is murdered by the Mafia. She becomes an academic librarian in Palermo and saves her passions for her cooking, until a mysterious English visitor, L’Inglese, enters her life. The book discussion is taking place here. However, if you haven’t yet read the book, or are in the process of reading it, there might be some spoilers! You can order a new or used copy of the book from your local bookstore or on the Internet, or borrow a copy from a library or friend. There are many used copies of the book available from booksellers on the Internet here.